Long-term friend and collaborator Duke Garwood opens the night with a short set of numbers setting a darkened tone for the evening. His distinctive guitar playing style and personal take on the American road give the audience an alternative ride to hitch up on. Once on board however, don’t expect to get anywhere fast; British-born Garwood pulls off the mean and moody look on stage but his songs struggle to connect to an audience unfamiliar with his musings. 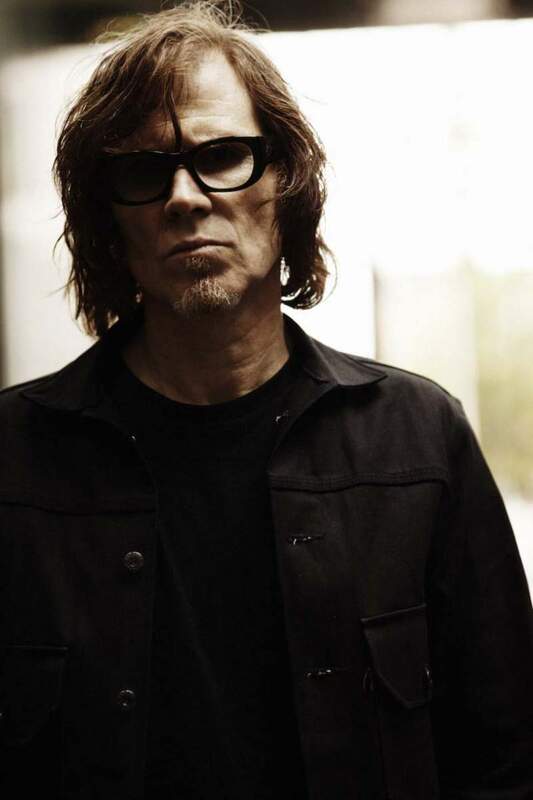 Mark Lanegan is a man of few words on and off the stage and tonight his reluctance to over familiarise himself with the audience is not overly surprising. With no introductions to songs and just the briefest of audience appreciation some would find him difficult, his fans though hold on to his Clint Eastwood meets Nick Cave persona and wouldn’t want it any other way. He’s a formidable figure; his presence imposing, his earthy voice still as signature as ever. Intimidating and seemingly indestructible, his hard living reputation goes before him, and as he stands like a mighty redwood at the front of the stage, giving little away. Early in song Pretty Colours stands firm in its boots, with equal parts Lee and Nancy colouring a dark Washington State landscape. A surprising re-invention of You Only Live Twice takes the James Bond classic into new and unfamiliar territory. His own take on events giving an almost Twin Peaks type vibe to a John Barry classic. Throughout his voice is strong and commanding with a bite and throatiness eroded finely by road miles, tobacco and liquor. Fronting Seattle heavyweights the Screaming Trees in the early 90’s gave him the chance for his true voice to be heard and his connections to grunge royalty gave him only the chance to move forward in his own direction. Finishing the night with their classic Halo of Ashes is a fitting and upbeat end to an evening not easy for a newcomer, but what old Lanegan heads will have come to expect and enjoy.